Provenance: Private Collection, Grand Rapids, Michigan (by descent in the same family since original purchase). Exhibited: Nashville, Indiana, Brown County Art Gallery, "Annual Fall Exhibition," August-October, 1949; Indianapolis, Indiana, Hoosier Salon Art Gallery, "Solo Exhibition," November 14-December 3, 1949. 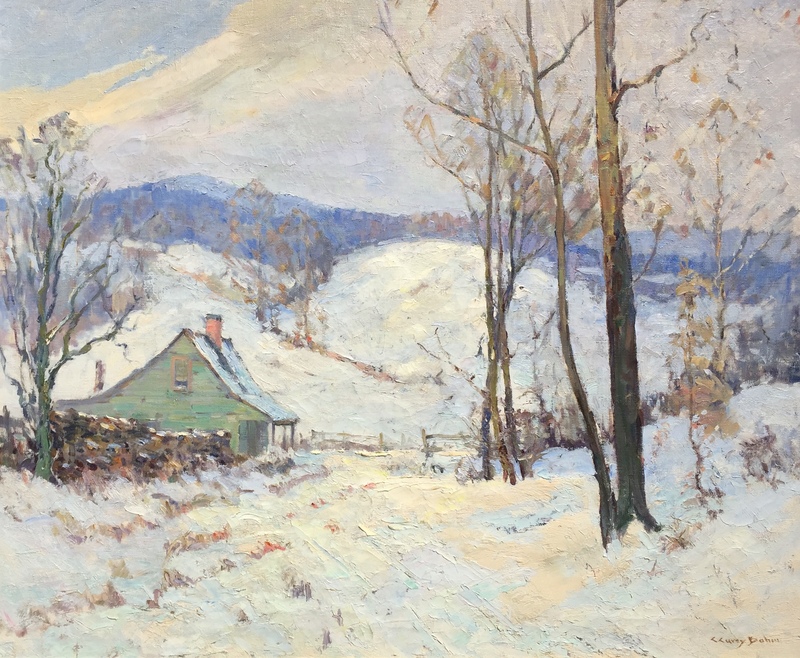 Note: An excellent example of the artist's best subject---winter in Brown County. Good condition, good original frame (silver finish).